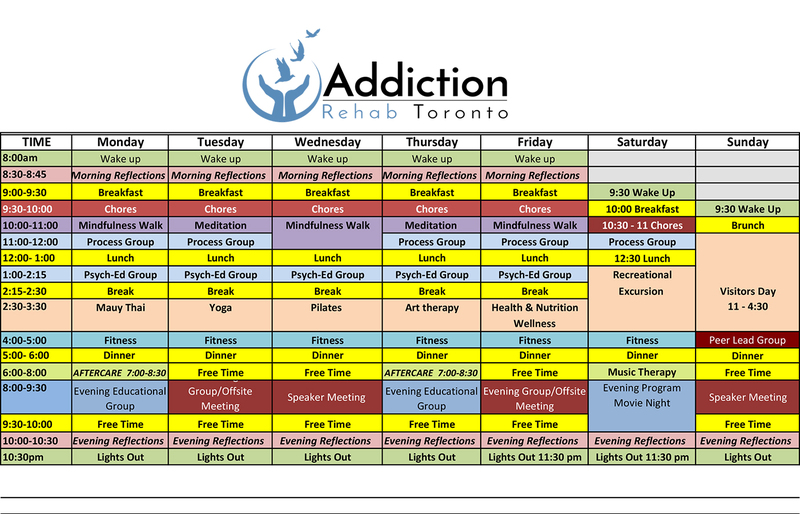 Every day at Addiction Rehab Toronto is a little bit different, and no two residents have the exact same schedule. Below is a sample of what a typical day in the facility might look like. Evening programs include: Movie Nights, Karaoke, Bingo, Music Therapy, etc.